Some 34,000 infants in the womb facing death within ten years – figure could be much higher. Taxpayers to foot the bill for the legalised infant killing regime. 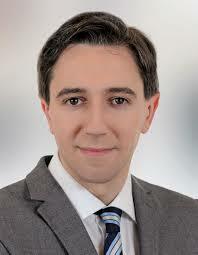 Fianna Fail is said to be backing the government’s proposed abortion provisions to the hilt. 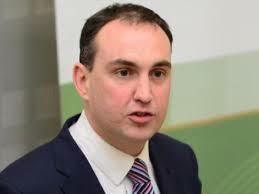 According to reports, party Leader Micky Martin who campaigned for the abolition of the 8th Amendment – the only constitutionally stated right to life children have – has also moved to prevent TDs and Senators from individually making any amendments to the upcoming government legislation. 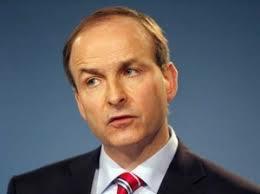 Fianna Fail Leader, Micheal Martin, TD. Commenting in an interview with Ocean FM News Deputy Marc MacSharry appeared to agree with the Leader’s apparent decision. Both MacSharry and party colleague Eamon Scanlon supported the retention of the 8th amendment. A rough estimate has put the number of infants destined to be put to death following the introduction of abortion on demand at 34,000 over just the next ten years. The number, which could be much higher, equals the population of women who have been travelling to the UK to have the life of their babies terminated by abortionists. Particularly at risk, it’s feared, will be babies with birth defects, including Downs Syndrome. Legislation to legalise the killing of infants up to 24 weeks is being hurriedly prepared, with Minister for Health Simon Harris saying it should be up and ready to go as soon as January. Harris is, meanwhile, proposing the creation of exclusion zones at abortion hospitals and clinics to prevent members of the public opposed to the infant killing regime from mounting demonstrations near the premises. Gardai are expected to be posted outside some hospitals in a further bid to discourage people from voicing their opposition to abortion. Provision is being made for imprisonment and fines for breaches of the new laws. The Fine Gael minister is understood to be considering State funding of abortions at the cost of millions of euros in public hospitals, a bill to be borne by all taxpayers. “We have mothers going into hospital, having babies and coming out to homelessness.I have huge concerns about what will happen to those children,” she added. Hospitals mentioned as possible abortion centres include Galway. However, patients attending for other procedures may be reluctant to present for treatment where infant killing is being carried out in the complex. Previous PostReferendum result could herald massive killing on demand regimeNext PostFarm body urges ‘patience and extreme caution’ in safety warning to road users and agri community.